I just finished up my seventh hike wearing the Treksta Men’s Kobra II GTX shoe, and feel like I finally found the right shoe for trail hikes. The Kobra II GTX had a comfortable fit right out of the box, with no break-in needed. This generation of Kobra is built on TrekSta’s NestFIT last, which is a very cradling and anatomically correct fit. 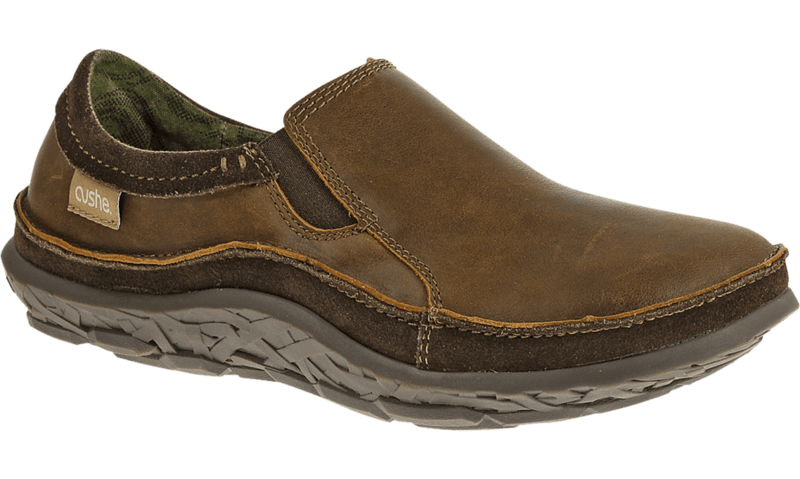 NestFIT refers to a complete system of Upper, Last, Insole, Midsole, and Outsole, designed to work together to contour your foot. The result is unbelievable fit, support, and stride comfort. These shoes come with the Boa Technology Lacing System. If you are not familiar with Boa, it is a 3rd party lacing system that allows you to ‘dial in’ the fit with extreme precision and no pressure points. Sometimes my feet swell during hikes, and I loved the Boa laces because I could make micro-adjustments over the course of the day. 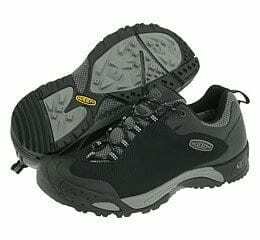 In most hiking shoes, I have issue with my feet sliding forward on the downward portions of trails, but the Kobra keeps the foot in remarkably stable position. And when the hikes were over and we headed inside, I just released the Boa laces and popped off the shoes – no tugging on wet, dirty soles needed. Speaking of wetness, I took the Kobra II GTX on a long weekend of camping along the Appalachian Trail, and our trip included a fair amount of rain. Not ideal as far as the family was concerned, but it was perfect conditions to test the Kobra’s traction and waterproofing. My feet stayed warm and dry, thanks to the Gore-Tex waterproof/breathable membrane. The Kobra II had amazing traction on the slick trails – not surprising, since, TrekSta is known for excellent traction technology. 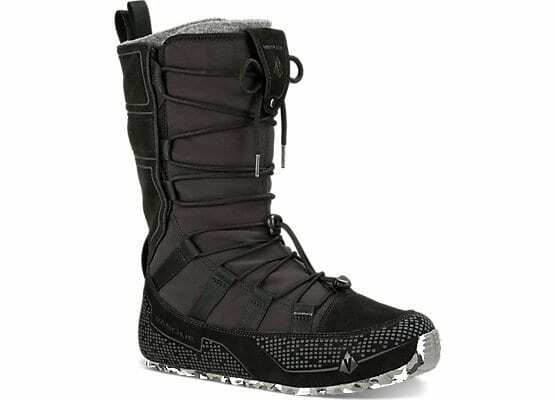 The Kobra II features TrekSta’s HyperGrip/IceLock sole, which would be the equivalent of an all-season tire. HyperGrip means these have a certain stickiness on both dry and wet surfaces, but without the quick wearout. HyperGrip promises a grip plus durability, so you don’t have to trade off one for the other. The IceLock tech is insane – I didn’t need it in Virginia, but in Colorado I test drove this feature – you could literally walk across an ice rink as if it were pavement. I don’t quite understand how the micro-filaments in the rubber compound create this grabby tension with the slippery surface, I just know it works. And to make the outsole even more perfect, it doesn’t get bogged down with debris – it does a great job of releasing the clumps. To clean after a long day, I just brushed them off with a towel and really haven’t needed to do anything else. The TrekSta Kobra II GTX is surprising light – 15.6 oz – for a shoe with this much substance, and I appreciated the lightness even more after two encounters with Copperheads. Venomous snakes have a way of turning a leisurely hike into a fast-packing trip. I’m hooked on these shoes, and if we were rating them here, I would have to assign 5-stars. With limited disposable income, I look for gear that will last, and can pull double-duty, and these fall into that category. The TrekSta Kobra II GTX is a superb all-around shoe for everything from errands to icy trail.